When a defendant pleads guilty or no contest to a felony or misdemeanor offense, he or she is effectively admitting guilt to the court and accepting the terms of the plea agreement or other indicated resolution that the Court is prepared to impose. 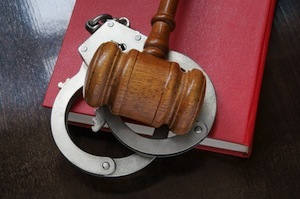 In many cases, once a plea has been entered it is very difficult to withdraw the plea and vacate the conviction. However, there may be circumstances where a defendant can withdraw his or her guilty or no contest plea. If you or a loved one are considering a plea withdrawal motion, it is imperative that you discuss your situation with an experienced and knowledgeable Los Angeles Criminal Defense Attorney immediately. California Penal Code Section 1018 PC allows a defendant to withdraw his or her plea upon a showing of “good cause.” The statute also states that the motion must be made within six months after an order granting probation has been entered. The Court may be willing to entertain a plea withdrawal motion if the defendant can provide justification for the delay. The defendant may also submit a writ of coram nobis to have the Court correct any error that may have occurred. A writ of coram nobis can be filed at any point. If the defendant’s plea withdrawal motion is granted, the case would start over again with an arraignment hearing and the defendant would still likely face criminal charges. The fact that the defendant now regrets his or her decision to plead guilty or no contest does not constitute “good cause.” The Court will generally consider a plea withdrawal motion if it can be shown that the plea was not entered freely, knowingly or voluntarily. A defendant would have to prove good cause through clear and convincing evidence. This means that the defendant is required to show that it is more likely than not that he or she would not have pleaded guilty or no contest to the charge if the facts and/or consequences of the plea were known at the time the plea was entered. There are several scenarios in which a judge may consider granting a defense motion to withdraw a guilty or no contest plea. There may be instances where the defendant was not represented by an attorney but instead decided to represent himself or herself when pleading guilty or no contest. This is never advisable, as a defendant proceeding “pro per” is often at a severe disadvantage. The fact that a person represented himself or herself does not automatically provide good cause to withdraw the plea. However, if the defense can show that the defendant was not informed of his or her right to an attorney and did not knowingly waive this right, the Court may consider the plea withdrawal motion. It would be necessary to obtain a transcript of the plea proceeding to determine what was explained to the defendant. Typically, a judge will go to great lengths to dissuade a defendant from proceeding without an attorney and will make sure to receive informed consent from the defendant before proceeding. In many cases, defendants who are not United States citizens may be able to withdraw their plea if the defendant was not informed of the immigration consequences that may be triggered by a plea of guilty or no contest; namely deportation or exclusion from admission. In the landmark Padilla v. Kentucky case, the United States Supreme Court held that failure to inform a defendant of immigration consequences can invalidate any subsequent conviction. Courts are now very careful to address this and this typically is communicated to all defendants who pleads guilty or no contest on the record and on the written plea waiver form. Defendants who are not proficient in English and who were not assisted by an interpreter may also be able to claim that their plea was not made knowingly or intelligently. In addition, if the attorney who assisted the defendant did not provide competent representation, the defendant may be able to withdraw his or her guilty or no contest plea. The defense would have to show that the original attorney’s representation fell below an objective standard of professional competence. If you or a loved one are considering a plea withdrawal motion, it is crucial that you consult with a Los Angeles Criminal Defense Lawyer right away. As a former Deputy District Attorney with over 14 years of prosecutorial experience, Los Angeles Criminal Defense Attorney Michael Kraut is highly respected throughout the legal community as tough litigator who fights hard on behalf of his clients. For more information about Los Angeles plea withdrawal motions, and to schedule your free consultation, contact Los Angeles Criminal Defense Lawyer Michael Kraut at the Kraut Law Group located at 6255 Sunset Boulevard, Suite 1480, Los Angeles, CA 90028. Mr. Kraut can be reached 24/7 at 888-334-6344 or 323-464-6453.